Fall is coming, and I love it! You can’t stop me from running around burning pumpkin candles, drinking chai lattes, and crunching leaves beneath my feet. One of my very favorite fall to-do list items is to bring out the boots that have been hiding in the back of my closet since last winter. This season I’m dressing up my boots a little with some boot cuffs! You know those cute little knit socks that peek up out of the top of everybody’s boots? They’re not socks at all! They’re just cuffs—like a little accessory for your legs. And you know I love an accessory. 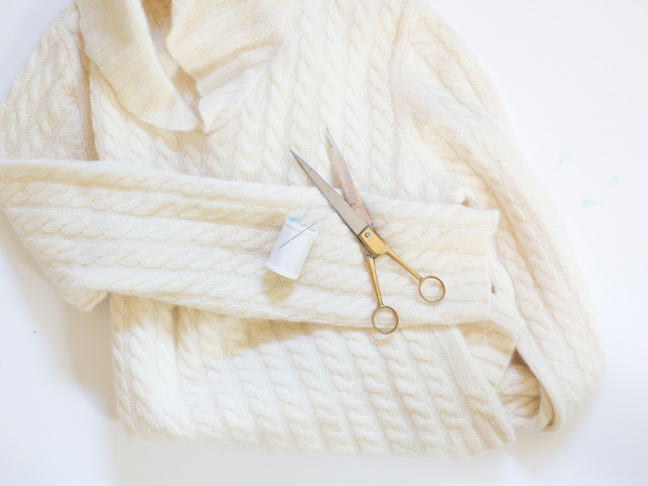 As it turns out, you can whip these things up in about five minutes flat if you have an old sweater laying around. Make some of these DIY boot cuffs in your size, or make some for your kiddos from a sweater that they’ve outgrown. 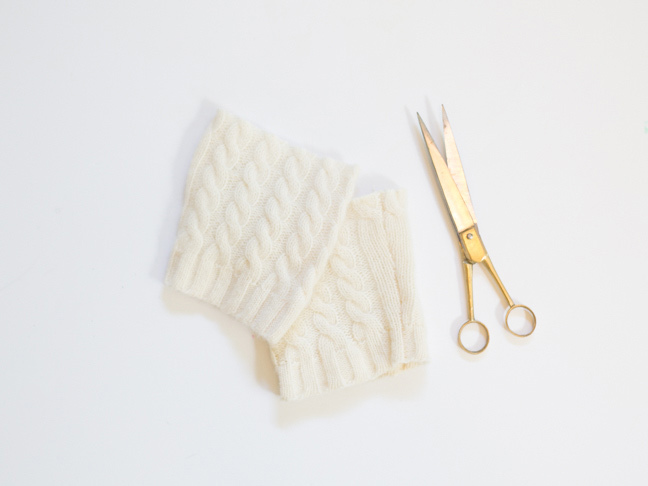 Step 1: Cut off about six inches of the cuff of each sweater sleeve. Step 2: Thread a needle with elastic thread and knot the ends together. 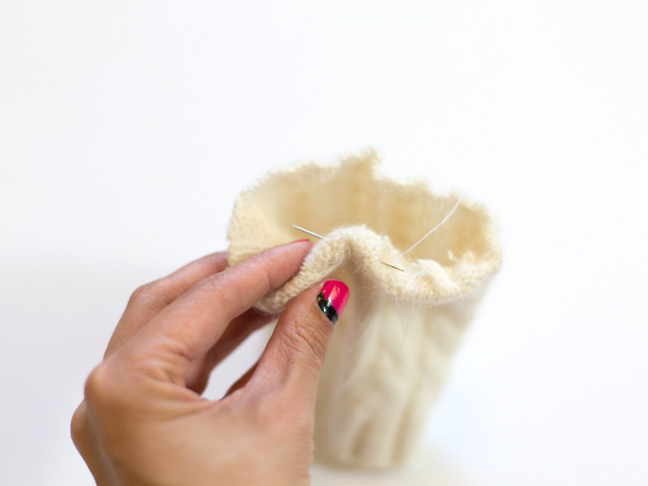 On the cut end of the sleeve, fold a small hem and sew a running stitch all around the hem. Make sure not to pull too tight; the hem shouldn’t pucker much, if at all. Step 3: Knot off the thread and snip the ends. 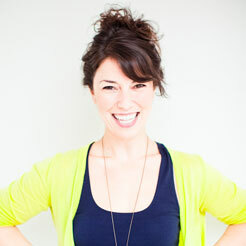 If you wish, add a bit of fray guard to the hem of the knit fabric to avoid fraying. Step 4: Pull the boot cuffs on with the original hem of the cuff on top, and the hem you created just below the top of your boot so it’s hidden. Go get yourself a pumpkin spice latte and celebrate fall!